Donald M. Wilson was a veteran of the Battle of Saipan, where he was both a rifleman and a chaplain’s assistant in the 2nd Marine Division, and where he no doubt heard stories about the presence and death of Amelia Earhart and Fred Noonan in the pre-war years. He became an ordained minister and served as a pastor and assistant pastor in several churches in Ohio, Michigan and finally in Lake Pleasant, New York, where he passed away on Thanksgiving Day, 2012, at age 86. Wilson was also an avid student of the Earhart disappearance, and he occasionally corresponded with fellow Saipan veteran Thomas E. Devine. 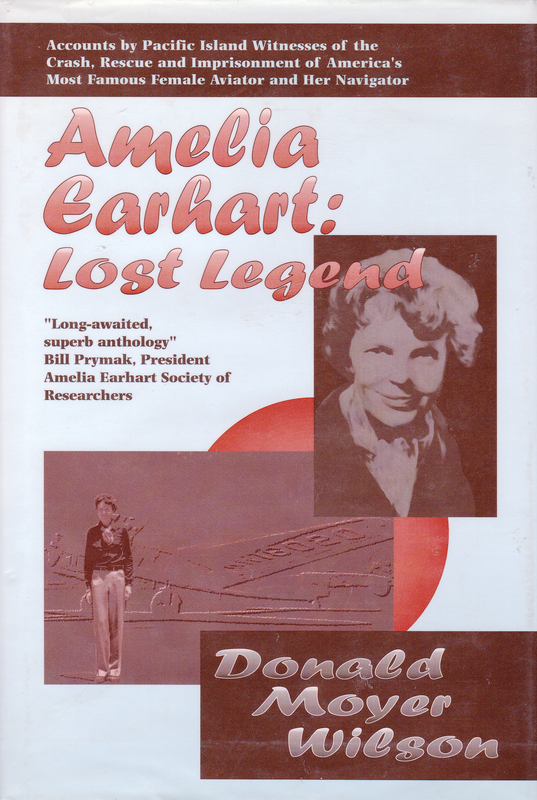 In 1994, Wilson self-published Amelia Earhart: Lost Legend: Accounts by Pacific Island Witnesses of the Crash, Rescue and Imprisonment of America’s Most Famous Female Aviator and Her Navigator, an obscure anthology known chiefly to habitués of Bill Prymak’s Amelia Earhart Society of Researchers, where he was a respected member. The following letter, from Wilson to Prymak in April 1994, appeared in the November 1998 Amelia Earhart Society Newsletters, concerns a strange incident involving Wilson and an unidentified man that occurred at an unknown time and location, and in that regard it is reminiscent of several other accounts of unknown provenance that have been passed down to us through the years. It also reprises some of the more unpleasant possible scenarios of Earhart’s final days on Saipan, and I present it for your consideration. Boldface is mine throughout. During a book signing recently, a man came up to me and said insistently that Amelia Earhart was captured by the Japanese and executed by them. He identified himself as a former Marine Corps colonel, who had spent three months at the Pentagon. He pulled out his wallet to show me some identification. Unfortunately, I did not look at it carefully, and do not remember his name. He seemed to be bitter about his experience with the Pentagon. He said that he had worked with G-2 — Intelligence. He claimed that he saw secret documents about Amelia Earhart. He said there were two witnesses to her execution, not just one. He also said that she had been stripped at the time of her execution and previously raped by her guards. He also said (and I neglected to tell you this) something about her fingers or fingernails, that they had been mutilated, or possibly her fingernails had been pulled out. He also said (again I forgot to tell you this) that, as I recall, her body had been removed from the grave later, and cremated (possibly by Americans? — I’m not sure of this). He said that the Earhart plane had been destroyed — I’m quite sure he said by Americans on Saipan. He was very reluctant to give more details, and when I suggested things like the name of the airfield on Saipan, he would neither confirm nor deny them. I spoke of the Freedom of Information Act, and asked where the materials might be obtained. He implied that the Navy might have them. As I recall, I asked him to get in touch with you,* and I believe I gave him your address. Also, he mentioned another individual briefly who might have the same (or different) information, and I again said I hoped he would supply more information. 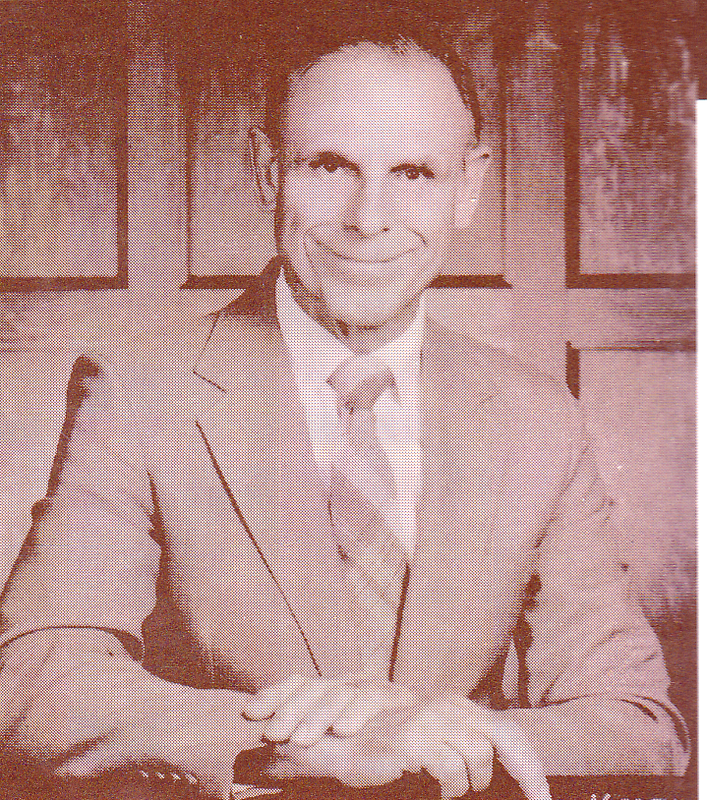 Undated photo of Donald M. Wilson, from his book, Amelia Earhart: Lost Legend. A couple of thoughts have gone through my mind. He might be telling the truth and was torn between the desire to give information and the fear of risking retaliation of some sort for giving it. There is a slight possibility that he might have been discharged from the service for homosexual behavior. Or he might have taken information he obtained elsewhere, particularly the Unsolved Mysteries program with Tom Devine and Nieves Cabrera Blas, among others, and built on their stories — for the fun (?) of it. He asked me what my interest in Amelia Earhart was, but walked away before I could give him an answer. Many of the smaller details have yet to be learned, but we do know beyond any doubt that the doomed fliers met their tragic ends on Saipan. The U.S. government and its media toadies still do not want you to know the truth about the death of Amelia Earhart, for all the reasons I continue to re-emphasize and present to the few who are willing and able to accept the truth. It makes me wonder when they executed her? Many of these eyewitness stories seem to have no specific date attached. What would be the latest verified date she was seen around Saipan? I suspect she was not well treated to say the least. All the more embarrassing to the Japanese if the truth were to come out now. It seems she was probably dead before the Pearl Harbor attack. I just recently read a comment online attributed to a high ranking Japanese maybe Yamamoto that they knew they would score some spectacular victories in the first year of the war and after that to be realistic they knew they would lose. Maybe Forrestal was anxious for the USA to ally with Japan as soon as the war was over so he arranged for her plane to be destroyed even if he didn’t personally attend the event, but I believe he did. I’m quite sure he and his friends were anxiously awaiting collecting the profits that were to be made in the rebuilding of Japan. I wouldn’t be surprised also to learn of great hoards of Japanese gold falling into the hands of connected politicians after the war. Yes Amelia’s fate was a tragedy but just as depressing to me is the shenanigans behind the war with Japan. I seriously doubt that Amelia Earhart and Fred Noonan lived to see 1938. Having studied and lived in the United States, Admiral Yamamoto was well familiar with the industrial might of our country and the character of the American people. He knew exactly how we’d react to being attacked and that Japan’s window of opportunity to operate with a free hand, make advances, and secure victories was limited. After that, they’d be on the defensive. Almost exactly six months from the Pearl Harbor attack to a stunning American victory at the Battle of Midway. The destruction of the Electra on Saipan was simply policing up and “sanitizing” FDR’s and the Navy’s mess. It was an act necessary to ensure “plausible deniability” to propagate the “splashed and sank” story. Please read “Gold Warriors: America’s Secret Recovery of Yamashita’s Gold” by Sterling and Peggy Seagrave. It certainly puts post-WWII history in a different perspective.